Emplacement Emplacement Emplacement! Ce spacieux, condo non-fumeurs a tout ce qu'il faut pour des vacances reposantes. Vues du Golfe avant-fantastiques de la tanière, à manger, cuisine, balcon, et suite parentale. La nuit, mettre dans votre lit king-size et laisser l'accalmie de surf vous endormir. Dans la matinée, vous fixer une tasse de café et regarder les dauphins de croisière passé votre balcon d'angle. Ce est la vue tout le monde veut quand ils viennent à la plage. Lorsque vous êtes prêt pour la plage, pas de longues randonnées sont nécessaires - vous êtes à quelques pas du sable. Commodité est la clé. Ce condo de 1200 pieds carrés est juste en face de la rue de trois supermarchés, les restaurants, les magasins discount et de nouvelles boutiques haut de gamme. A quelques minutes de plus grands magasins et des restaurants merveilleux. Orange Beach est l'une des destinations les plus populaires sur la côte du Golfe et The Breakers est l'un des complexes les plus populaires à Orange Beach. Venez voir pourquoi ... Vous ne voudrez plus jamais quitter! Nice clean condo. Great location! Location. Location. location. Close to everything without the craziness of gulf shores. Beautiful beach that was not busy. Beautiful views of the balcony with dolphins every morning. Condo was clean and stocked for families needs for the week. Lawn chairs for use too! Only drawback was the pool is not heated so it was a bit chilly. Will definitely stay again! Wonderful location. Beautiful beach and view from balcony was spectacular. Richard was very quick to respond to our questions and concerns. Beautiful condo.....clean and well equipped.....the location is fantastic and Randall was so easy to work with!!! We loved our stay at The Breakers. It was so comfortable and relaxing. 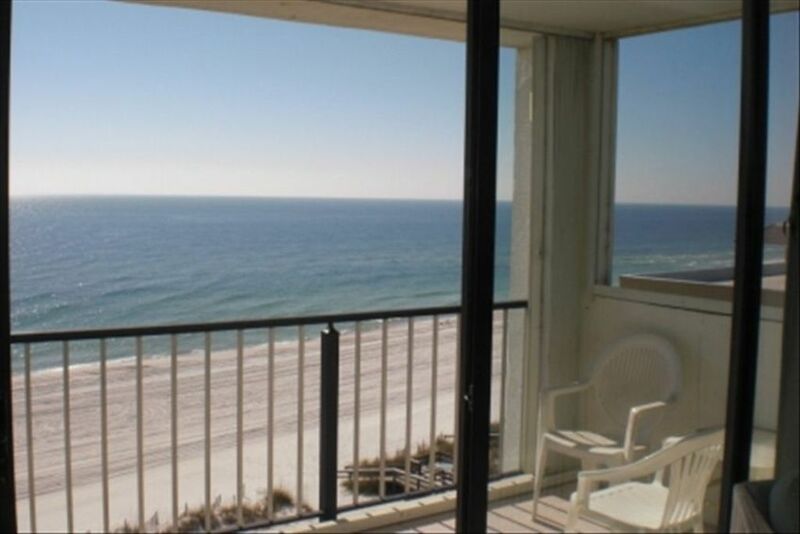 The location is perfect, with the gulf and sand out the back door and a great little shopping center out the front door. Thank you, Randall, for a lovely month at The Breakers. Thanks Linda. It was our pleasure having you here. Hope to see you again. I’ll start by saying I would stay here again. I gave this a 3 but really it’s a 3.5. Could be a 4 with a couple improvements. I rented this for 30 days in Oct/Nov. so I settled in as it were my own. Randall was my contact and was very responsive and friendly. The condo was clean (mostly - see below) and furnishings were good. You get 1 parking pass and $20 per additional car. It was off-season and the parking lot was never more than 15% full. For a 2 bedroom condo it would’ve been good to get that second pass included. The washing machine is very loud. Some people had complained about it, for me it wasn’t a big deal. I was there in the cooler months but the master bedroom was quite a bit warmer than the rest of the house due to it facing the sun. I would imagine in the summertime it stays pretty warm in there. PROS: Ocean front, corner unit on the top (8th) floor. Incredibly convenient location, across the street are 2 grocery stores, restaurants, gas stations, Starbucks, liquor stores. Condo is a little dated but clean (mostly, see below). CONS: whoever manages this property should be aware for whoever cleans between guests. The condo is mostly clean with the exception of a few areas where I needed to buy cleaning products and do some scrubbing. The top of the refrigerator and dryer had what looked like a few years of dust that had started to cake on. The kitchen closet where the trash can is was pretty filthy. It had food remnants on the walls. The showers in the bathrooms had mold in mildew growing. I cleaned all of these up when I arrived. The carpets in the bedrooms are a little older. They probably could use a steam cleaning. I bought a foam mattress topper the first week to soften up the bed. Both the carpets and the bed are probably ready for a replacement. As I mentioned I would stay here again I spent many hours on the patio looking out at the beach and ocean. Rates are subject to change until reservation confirmation Cancellation Policy: 100% refund if cancelled more than 30 days prior to arrival. 50% refund if cancelled less than 30 days but more than 14 days prior to arrival. No refund if cancelled less than 14 days prior to arrival. Minimum age requirement to rent this unit is 25. Exception is married couples.